After Malala Yousafzai was shot by the Taliban, she had two questions. When Malala woke after being shot by the Taliban, she had just two questions. 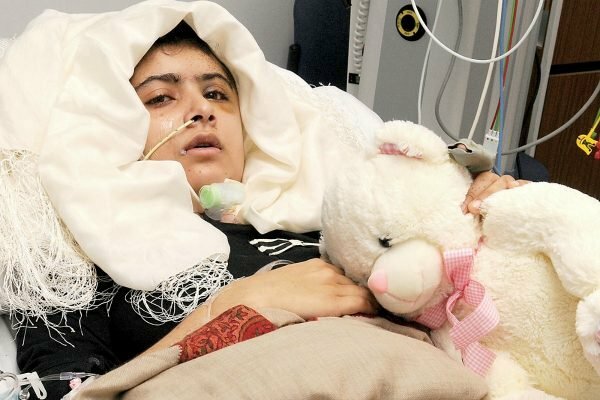 When Malala Yousafzai woke at Queen Elizabeth Hospital Birmingham in October 2012, she first thanked God she was alive. The 15-year-old’s last memory was from a week earlier, travelling on a school bus with her friends in Swat Valley, Pakistan. She remembered the bus turning off the main road, as always, past an army checkpoint and a long-deserted cricket ground. The rest was blank. Yet here she was, in a foreign hospital, surrounded by white doctors, thousands of kilometres away in a city she’d never heard of. Malala might not have recalled what happened on the bus that day. But before she even woke, millions around the world knew her story. She was the girl who had stood up to the Taliban. As the terrorist organisation increased its stranglehold on parts of her country in the early 2000s, women were gradually stripped of their rights and forced back into their homes; markets were suddenly off limits, shops bore signs banning them from entry, burqas were the expected form of dress. Then in December 2008, news came that girls in Malala’s region would be banned from going to school. Malala and her father, Ziauddin – a school founder, activist and proud feminist – stood up and spoke out against this injustice. 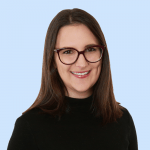 She blogged anonymously for the BBC about her increasingly restricted life, and spoke publicly on local television and radio. Malala in 2009, already an activist at just 12 years old. Image: Getty. But while her criticism of the regime made her a hero in the eyes of a global audience, in Swat, she was a target. As Malala wrote in her book, I Am Malala, she later learned the details of the October 9 attack. A man wearing a baseball cap boarded the bus and demanded to know who among the passengers was Malala. "No one said anything, but several of the girls looked at me," she wrote. "I was the only girl with my face not covered. That&apos;s when he lifted up the black pistol. "My friends later told me the gunman&apos;s hand was shaking as he fired." Image: University Hospitals Birmingham NHS Foundation Trust. No matter how brutal the Taliban were known to be, at the time, people still questioned how they could send assassins after a schoolgirl and fire a bullet into her head in front of a bus full of children. That&apos;s precisely why she continued being a vocal advocate for educating girls, in Pakistan and abroad. Her voice magnified after international press coverage of the shooting; she found a bigger, more influential audience. She gave speeches at the United Nations and Harvard University, and enjoyed an audience with the likes of Queen Elizabeth and former US President Barack Obama. 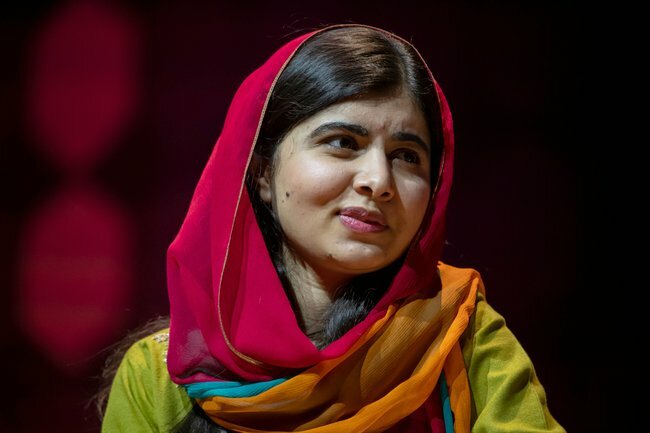 A Nobel Peace Prize followed in 2014 when she was just 17, making her the youngest person ever to win the award. She was also given the prestigious Philadelphia Liberty Medal and the United Nations International Children&apos;s Peace Prize. 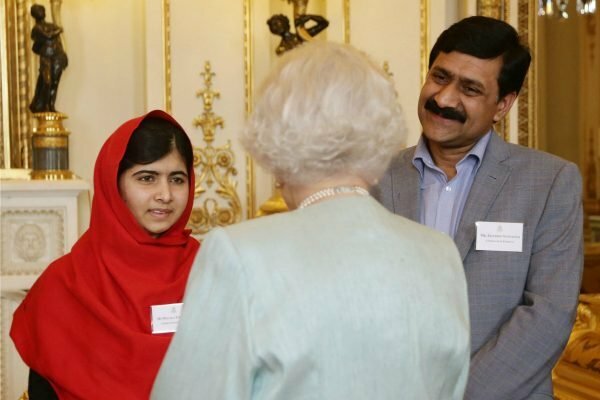 Malala and her father, Ziauddin, had an audience with the Queen in 2013. Image: Getty. She is proof that a person can be both young and a changemaker. Her father - her hero - is responsible for that, she said. He would give children the same consideration as adults, allow them to share their opinions and raise their voice - be they girls or boys. It&apos;s because of him that she felt emboldened to speak out when she was just 11 years old. Malala quoted her father&apos;s words on stage: "Don’t ask me what I did, ask me what I did not do.